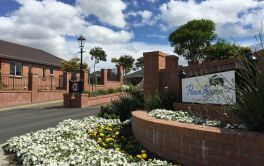 Retirement Villages, Rest Homes and/or Aged Care facilities, Auckland. Auckland City - The booming retirement village 'mecca'. Auckland City has a range of retirement villages and homes to accommodate the needs of its retirees in Auckland. The greater Auckland area includes North Shore, Manakau and further afield. 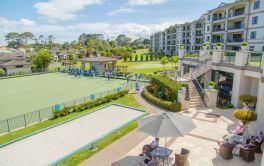 With over 200 retirement / lifestyle villages, rest homes and aged care facilities in Auckland, you are bound to find a place that you can call home. # 26 of 211 facilities. # 27 of 211 facilities. # 28 of 211 facilities. # 29 of 211 facilities. 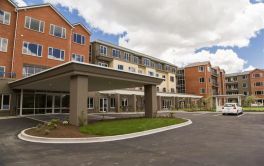 CRESTWOOD Retirement Village by Metlifecare. # 30 of 211 facilities. # 31 of 211 facilities. # 32 of 211 facilities. # 33 of 211 facilities. # 34 of 211 facilities. # 35 of 211 facilities. # 36 of 211 facilities. For a greater daily support we offer a continuum of care with a 60-bed rest home on-site. Our rest home offers 24-hour care and provides a safe, comfortable environment, all while being close to our other accommodations, so partners can visit easily. # 37 of 211 facilities. # 38 of 211 facilities. # 39 of 211 facilities. # 40 of 211 facilities. # 41 of 211 facilities. # 42 of 211 facilities. # 43 of 211 facilities. # 44 of 211 facilities. # 45 of 211 facilities. # 46 of 211 facilities. # 47 of 211 facilities. # 48 of 211 facilities. # 49 of 211 facilities. # 50 of 211 facilities.